Under a newly passed House bill, North Carolinians will see a price hike in movie tickets, live performances and museum admission. The “Tax Simplification and Reduction Act” cuts personal and corporate taxes and imposes a uniform tax rate, as well as a 4.75% privilege tax on many leisure pursuits--including non-profit events. And local representatives say they were given inadequate time to consider the bill before voting on it. State Representative Ted Davis, a Republican from New Hanover County, says he voted for the bill because he’s in favor of measures such as a uniform tax rate. But he fought against other stipulations -- including caps on mortgage and property tax deductions. Davis also says that the final bill was hundreds of pages long, and that negotiations became complex shortly before the voting period began. "You’ve got appropriations committees that deal with how the money’s gonna be spent. I am not a member of any of those appropriation committees; I’m a member of finance. So I wasn’t privy to all of those discussions." 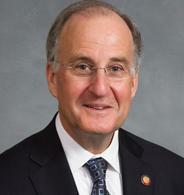 Davis predicts that several measures of House Bill 998 will be re-addressed at a later date. The bill takes effect January first. To hear more on the tax reform package from Representative Susi Hamilton, click here. Listen to web-exclusive bonus footage with Representative Ted Davis here. Could North Carolina Lead A 'Red-State Resurgence'? Pat McCrory hasn't fared too well with protesters. The Republican governor of North Carolina has signed off on a vast array of conservative legislation this year, cutting taxes, slashing unemployment benefits and abolishing teacher tenure. So much change so fast has led to protests, including "Moral Monday" events staged at the capitol a dozen weeks in a row by the NAACP. 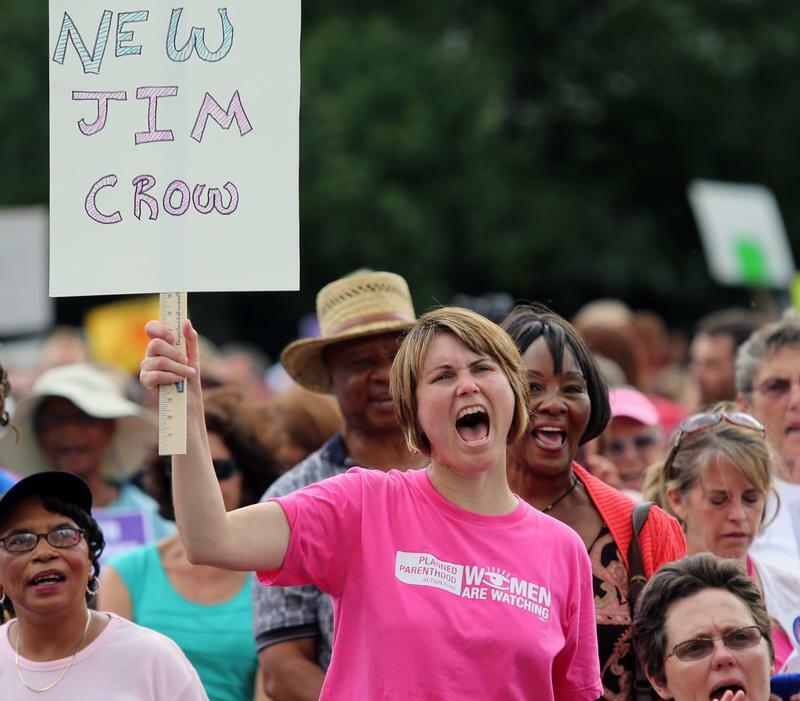 Although the North Carolina General Assembly has adjourned, the grassroots group, Women Organizing for Wilmington, or WOW, will maintain its weekly schedule of protesting against local legislators’ support of recent bills that would tighten restrictions on abortion. Despite passage of the controversial legislation in state House and Senate, local demonstrators say they’ll voice their discord until the next state elections. "Shame on Goolsby! Shame on Goolsby! Shame on Goolsby!"